All children are guaranteed a place in a one-year förskoleklass (‘pre-school year’) starting in the fall term of the year they turn six until they start compulsory schooling. This year is designed to stimulate each child’s development and learning, and provide a platform for their future schooling. Although förskoleklass is non-compulsory, almost all children in Sweden attend it. Swedish compulsory schooling consists of three stages: lågstadiet (years 1–3), followed by mellanstadiet (years 4–6) and then högstadiet (years 7–9). Children between ages 6 and 13 are also offered out-of-school care before and after school hours. Gymnasium (upper secondary school or high school, years 10–12) is optional. There are 18 regular national programmes of 3 years to choose from, 6 of which are preparatory for higher education such as university, and 12 of which are vocational. Yearly higher education costs in Sweden vary depending on the university and program. 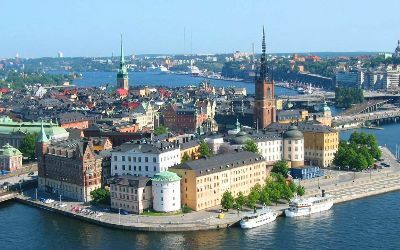 Tuition fees in Sweden range from approximately SEK 80,000 per year (approximately 8,300 EUR or 9,200 USD as of Oct, 2016) to SEK 130,000 (or approximately 13,000 EUR or $14,600 USD as of Oct, 2016).